Made of soft fabric, this soft set of 3 onesies from Babyoye is perfect for keeping your little one fuss-free throughout the day. 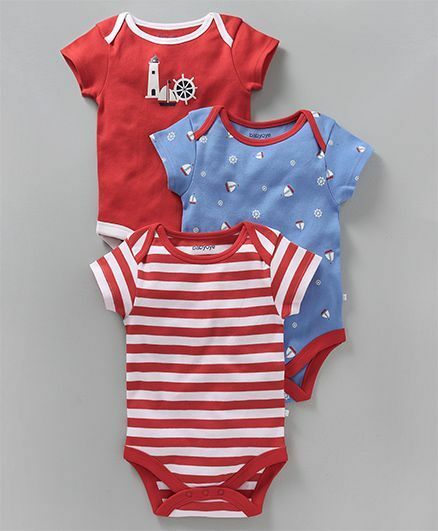 Round envelope neck and soft material keeps your little one comfy and relaxed, letting them lounge or play. Snap buttons at the crotch ensures easy diaper change. Stylish prints make these onesies look trendy.